Is media furniture hard to find that fits your space or budget requirements? We build finished and unfinished entertainment furniture to suit your needs. 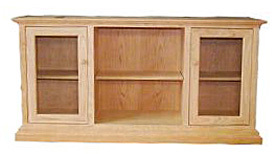 Media consoles are built in a variety of sizes with optional doors or drawers.